Our thanks to everyone for making 2016 such an awesome year! We wish you a wonderful holiday season and many happy renderings in 2017! 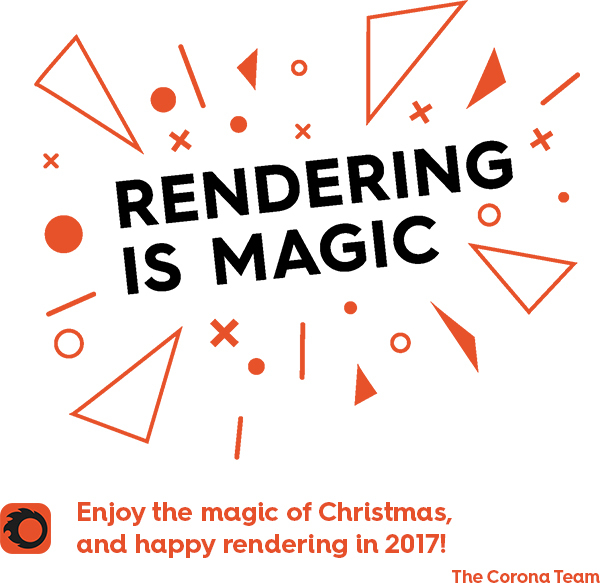 We’d also like to announce that our office will be closed from December 22nd until January 3rd – Corona support will be limited during this time.